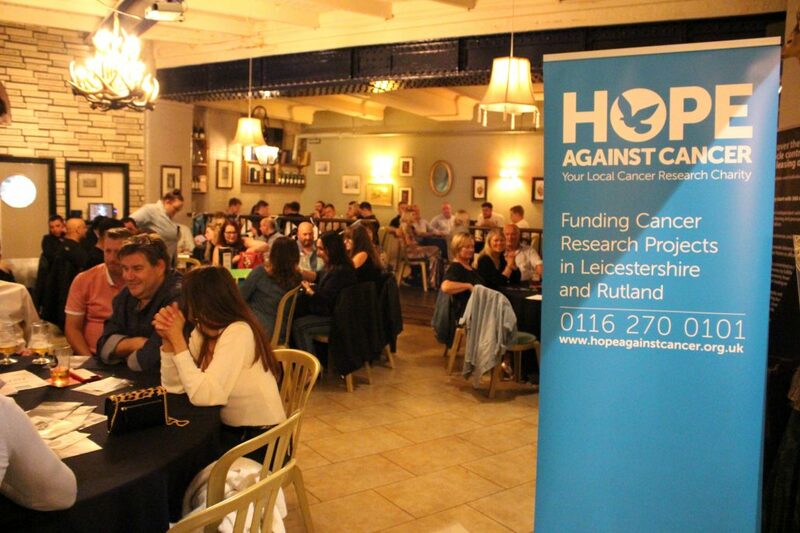 Businesses from across Leicestershire all got together for a fun night of food and a variety of entertainment in aid of local cancer research charity Hope Against Cancer at a curry evening organised by Kazzoo IT Solutions and Mocha Marketing, hosted by Leicestershire pub company, Steamin’ Billy. Tickets had sold out months prior to the event, resulting in over 130 guests descending on The Parcel Yard pub, owned by Steamin’ Billy. Everyone in attendance was keen to sample the various curries and were equally keen to get involved in the evening’s activities. 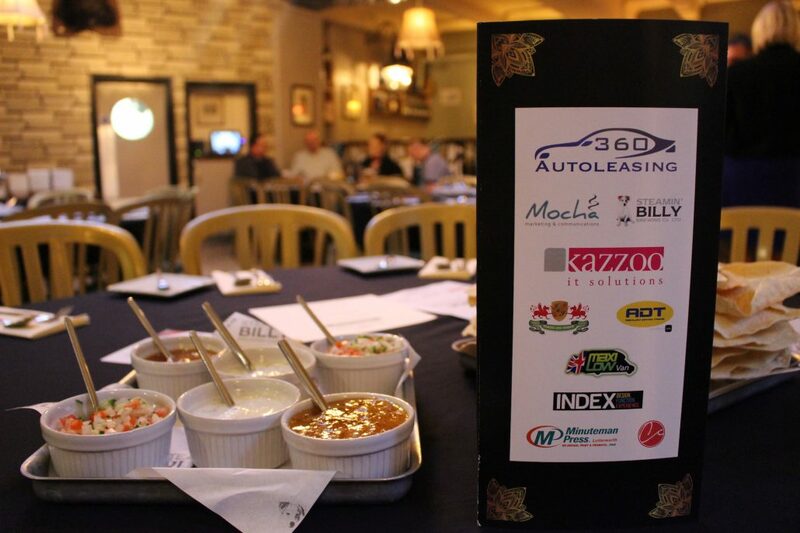 Headline sponsor 360 Autoleasing hosted the evening’s entertainment, starting with a quiz where tickets for the recent Anthony Joshua vs Alexander Povetkin fight were up for grabs, followed by an exciting game of beer pong, both of which went down a storm with the evening’s guests. The quiz was closely contested up until the question ‘how many Premier League football teams have a bird on their crest?’ was asked, which soon separated many opinions. The winner of the Joshua vs Povetkin tickets also kindly donated these back for a one-off auction, contributing to another £350 being raised in the process. The raffle also featured a wealth of prizes donated by both the local business community and individuals, including sports tickets, electronic goods and food & drinks vouchers, all of which helped raise over £3200 for Hope Against Cancer’s work in understanding the causes of cancer. Jenkins & Jenkins, Index DFE, ADT Taxis, Maxi Low Van and Eileen Richards Recruitment also showed their support as event sponsors on the night. Hope Against Cancer is also hosting a number of other events in the near future, details of which can be found at http://hopeagainstcancer.org.uk/events/upcoming-events/. The charity’s work prioritises detecting cancer earlier and researching effective treatments for those affected by the condition. Hope Against Cancer also conducts clinical trials at Leicester Royal Infirmary and the funds raised from events such as the curry night are vital in enabling the charity to carry these out. Further information about Hope Against Cancer’s work can be accessed at http://hopeagainstcancer.org.uk/.